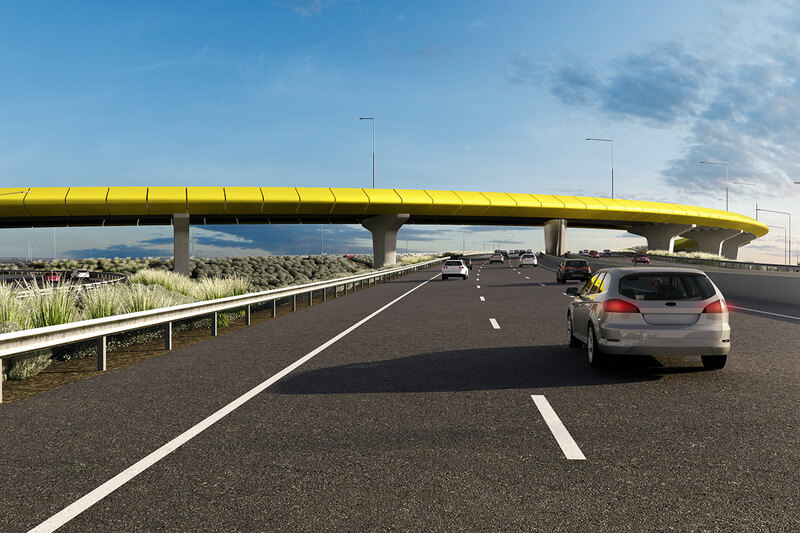 As part winning tender bid team for the Northern Connector project in Adelaide, Tract Media was engaged to produce several key views of the proposed design. 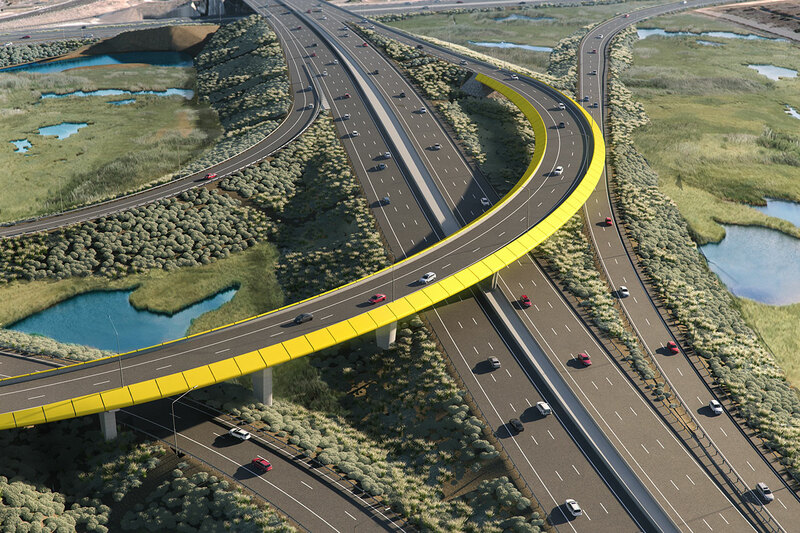 Capturing the bright sweeping ramp and adjacent wetlands through aerial and ground level perspectives was key to bringing all elements of the design together. 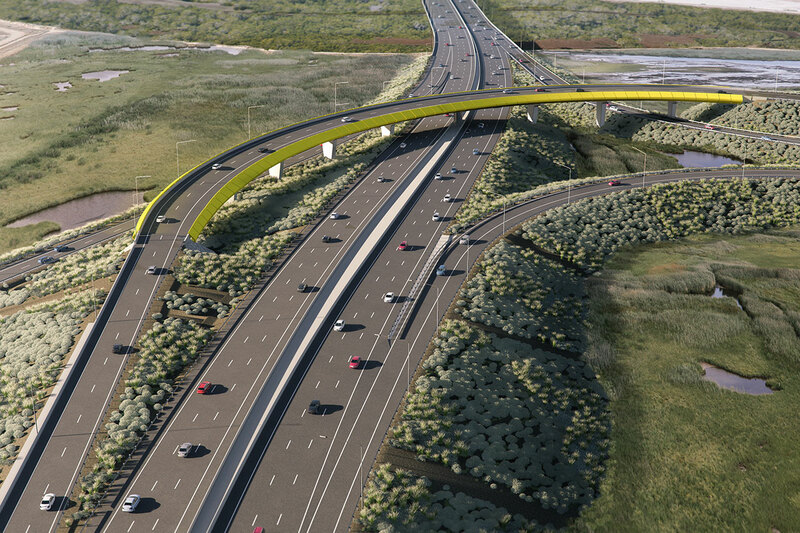 Additional views were produced during the tender process to highlight specific elements, however the view of the RE wall was particularly effective as a render on its own.